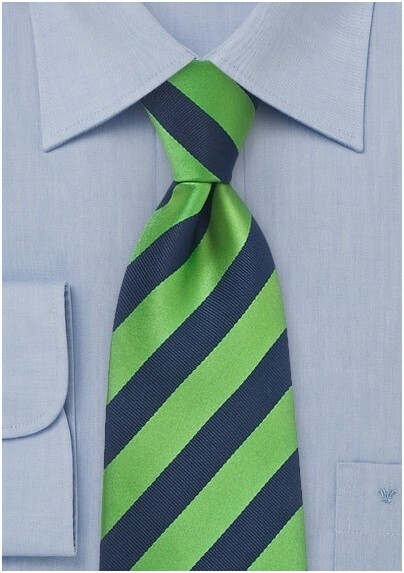 Capture a cool and classic Americana look with this modern striped tie in green and blue. The wide, diagonal stripes pop with color and texture and can instantly add flair to any ensemble. 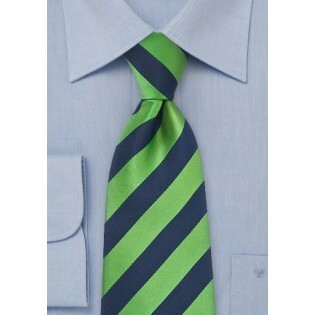 This tie is made from a microfiber that is both stain resistant and wrinkle free. This easy to care necktie pairs perfectly well with a light blue dress shirt and dark navy suit. You're sure to fall head over heels for this vivid striped tie.